Visitors to University Circle are often struck by the area’s grandeur. Magnificent museums. Huge hospital systems. A sprawling college campus interspersed with innovative new structures, iconic old buildings and well-preserved mansions. Yet University Circle is still home to a few intriguing pockets of modest living and relatable scale. One example is the southern section of East 115th Street. Bordered on Mayfield Road (where the 160-year old Cozad-Bates House stands) and Cornell Road (sentried by a well-preserved 100-year old apartment house), East 115th Street is an amiable elbow of a street—filled with smaller, tightly clustered homes that mainly house university students and hospital employees. East 115th comprises homes largely owned by University Hospitals. It is a micro neighborhood under constant threat of redevelopment. Even more intriguing—festooned with history, greenery and more than a little anachronism—are brick-paved Hessler Road and wood-paved (that’s right, wood!) Hessler Court (at 300 feet, the shortest street in Cleveland). Bordered by Ford Drive to the west and Bellflower Road to the north, the two Hesslers constitute a wrinkle in time: A vibrant 1920s enclave enveloped in a sleepy 1960s miasma. Several things make the two Hesslers unique. The sudden quiet. The surprising road surfaces. The tunnel-like flora. Tightly clustered, endearingly rundown homes, apartments and row houses. And for those familiar with their history, the streets can project a strange, retro vibe. Occasionally (and perhaps eponymously) referred to as a Midwestern Haight Ashbury, the Hesslers are a spiritual home to ghosts with long stringy hair, muumuus, protest signs, and perhaps a doobie clutched between a happy resident’s thumb and forefinger. Originally part of the Wade Park development (as is most of University Circle), Hessler Road and Court were cut through around the turn of the 20th Century. 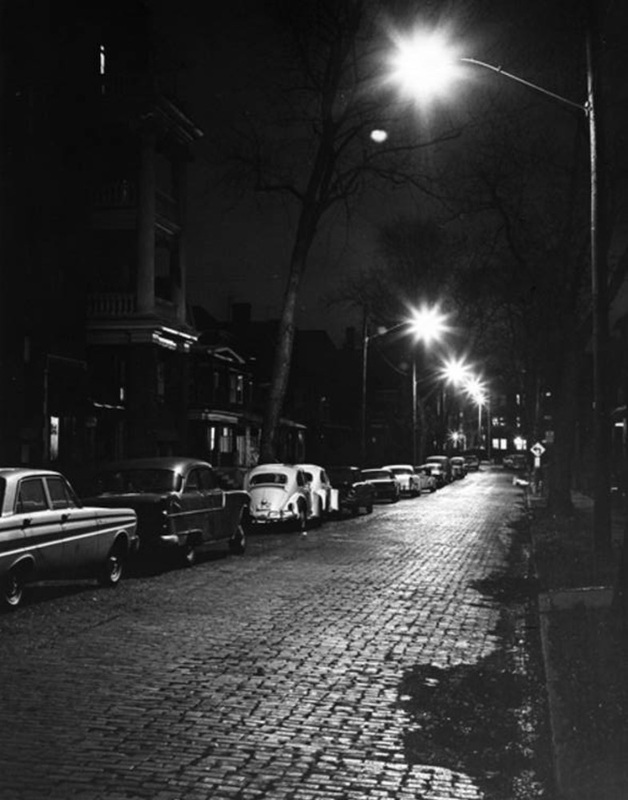 At the time, the Norfolk pine streets with which Hessler Court is paved were fairly common. Seasoned, infused with creosote, and mounted on end, the wood was durable, affordable, somewhat quiet, and easy to maintain. Still comprised largely of wood a hundred years later, Hessler Court is quite a contrast to the bumpy, albeit charming, brick paving along the much longer and more densely populated Hessler Road. Cleveland city records reveal that, in the late 19th Century, the two streets were part of a large tract owned by Emery M. Hessler, a medical supplies salesman. 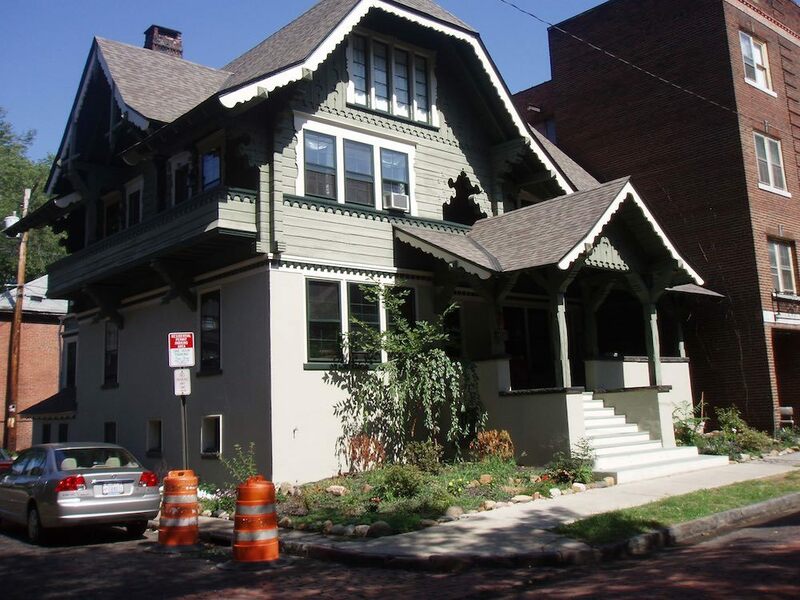 It was he who installed the distinctive wood paving on what was originally a private drive before being deeded to the city as a public street in 1908. By 1914, Hessler owned land bounded by Bellflower Road on the north, Euclid Avenue on the south, Ford Drive on the west, and East 115th Street on the east. In 1911, he sold land along Hessler Road to a developer. Most of the rambling Neoclassical and Tudor Revival structures, virtually all of which are on Hessler Road (there is only one actual address on Hessler Court) thus date to the late 1910s and 1920s, although a few were built as early as 1900. 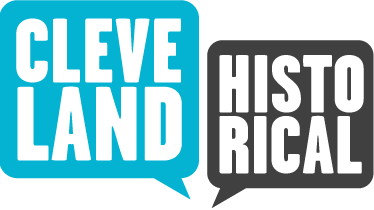 By the 1940s, Hessler road had become less exclusive and more prone to offer affordable housing to hospital personnel and employees and students at Western Reserve University and the Cleveland School of Art (the latter was renamed Cleveland Institute of Art in 1948). Apartment buildings and a (now sadly dilapidated) row house were particularly well suited to folks of modest means. Less than two decades later, the Hessler community began to hone its distinctive counter-culture aura. 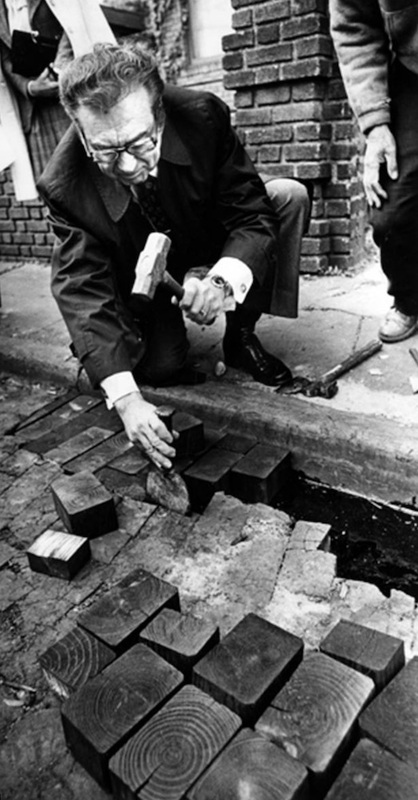 A key driver was the formation of the Hessler Neighborhood Association (HNA) in 1969, whose primary mission was to stop Case Western Reserve University (Western Reserve University and Case Institute of Technology merged in 1967) from replacing several homes with dormitories and parking lots. By this time many Hessler homes were owned by CWRU and University Circle Development Foundation (soon to be renamed University Circle Inc., or UCI), both of which were arguably focused more on land banking and future development than maintaining quality housing stock for current residents. In 1976 Hessler residents participated in rent strikes that forced UCI to make needed repairs on the homes it owned on the street. The Hessler Housing Cooperative was subsequently formed when UCI sold five of its properties to the Hessler Neighborhood Association. 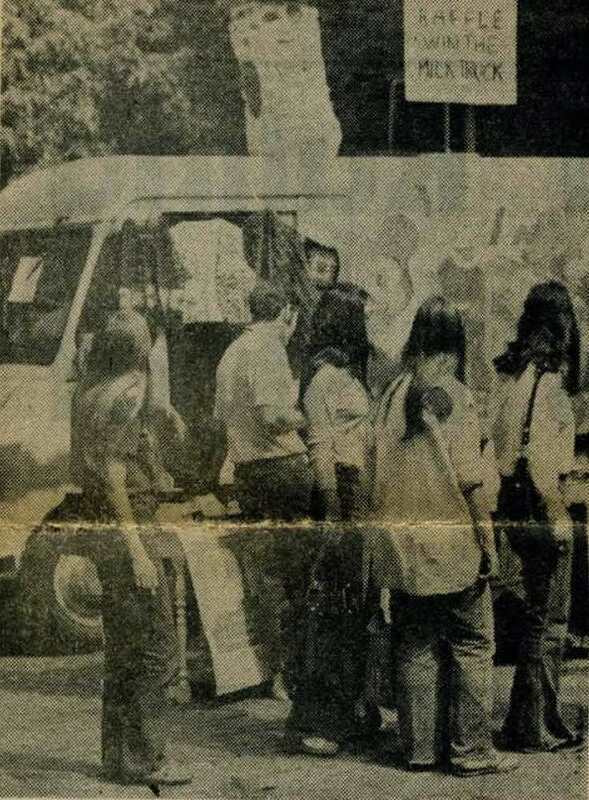 A similar strike was held against an absentee landlord in 1980. The Hessler Street Fair further cemented the streets’ counter-culture reputation. 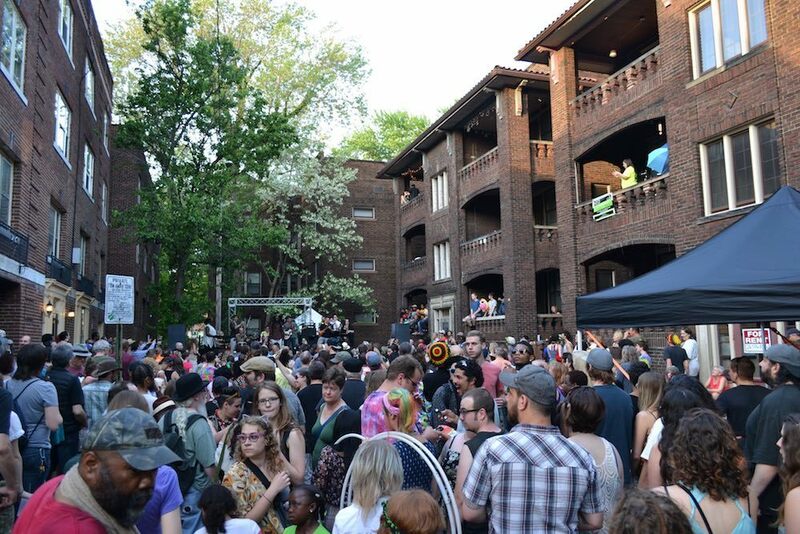 Organized as a fundraising event for the newly formed Hessler Neighborhood Association, the first festival was launched in 1969. The festival was held annually through 1984. After a ten-year break, it resumed in 1995 and continues to this day. Arts and crafts, vegetarian food, buskers, poetry readings, capoeira, and folk and reggae music, and, of course, tie-dyed T-shirts are annual mainstays. An estimated 10,000 people attend each year. 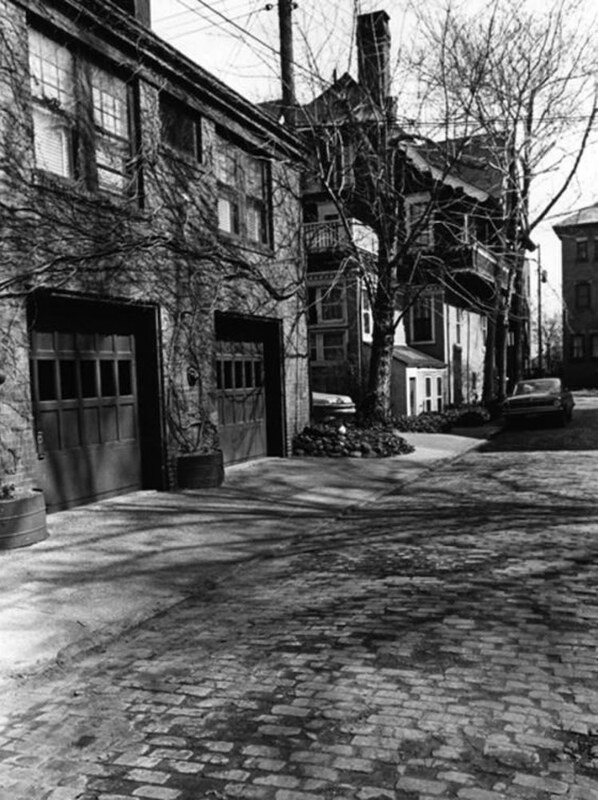 Hessler Road and the Hessler Court Historic District were dedicated by Cleveland's Landmarks Commission on November 1, 1975. 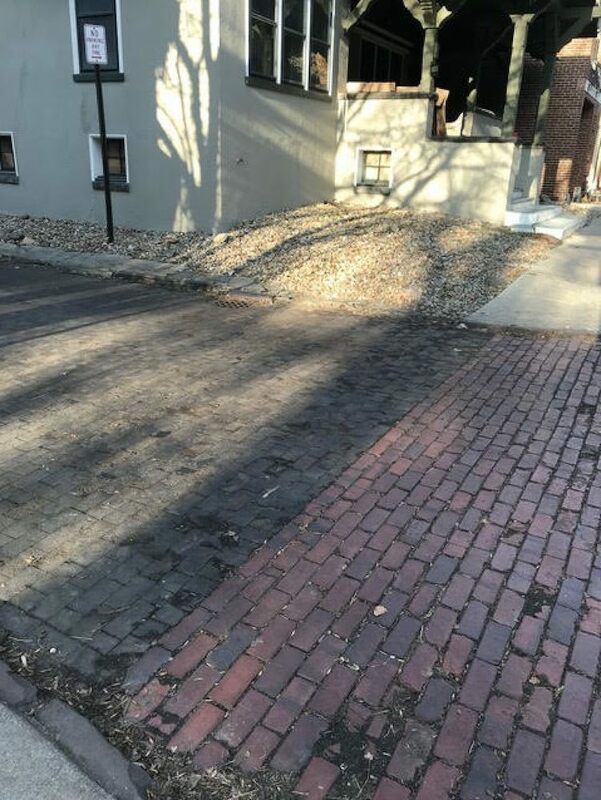 Hessler Court—believed to be the only remaining Cleveland street with wood block paving—was listed on the National Register of Historic Places seven months earlier. To paraphrase Abraham Lincoln, it is “altogether fitting” that such designations were bestowed on this unique area. “But in a larger sense,” no historical designation can fully capture the colorful and independent spirit that, for more than a century, has given the two Hesslers an altogether special personality. Chris Roy, “Hessler Road and Hessler Court,” Cleveland Historical, accessed April 18, 2019, https://clevelandhistorical.org/items/show/829. Thoma, Pauline. "When This Street is Blocked, It Will Be Open for Traffic." Plain Dealer. May 9, 1987. Published on Dec 11, 2017. Last updated on Jan 23, 2018.